Camshafts – Replace or not to Replace? That is the Question. So, you have 1,000,000 plus miles on your engine and you’ve decided it’s time for a rebuild. Some parts you know you have to replace but others you aren’t so sure about. Fuel injectors, oil coolers, oil pumps, and oh, what about the harmonic damper? 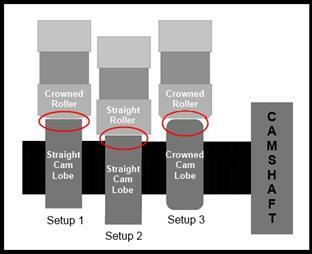 Our staff gets questions on these parts all the time, but one item that doesn’t get nearly as much attention is the camshaft, and it should. A high mileage camshaft needs to receive just as much care as any other “standard” replaceable part during the rebuild process, but it is often overlooked. Most people assume that if the camshaft isn’t flaking, pitted or ground right down, it can be put back into use without any further inspection or maintenance. However, in many instances a camshaft can be worn well past its reuse limit without any obvious visual signs of wear and tear. The old, “I ran my fingernail across it and it didn’t snag” routine just doesn’t cut it anymore. If you have further questions regarding camshafts or any other diesel engine parts, please contact us 855-447-7278, email info@highwayandheavyparts.com or visit our website www.highwayandheavyparts.com. Our parts department would be happy to assist you.